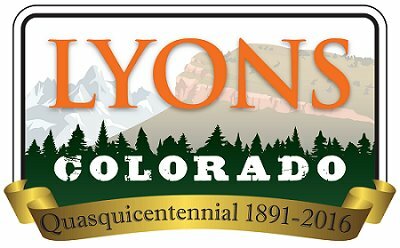 Due to the excessive amount of garbage, yard waste and other unacceptable material collected in the branch pile in Bohn Park, the pile was unable to be chipped, and Boulder County will no longer be serving the Town of Lyons with the chipping amenity. As such, please DO NOT dump any material, including branches, in any public right-of-way or Town-owned property, including Bohn Park; dumping of any material in any public right-of-way or Town-owned property is illegal, and violators will be penalized. As the Town determines the resulting solution, the remaining pile will be relocated near the wastewater treatment plant, where dumping remains prohibited. This year, the tour will highlight the 150th Anniversary of the Left Hand Ditch Company. The 2016 Water Tour is supported by Boulder County Parks & Open Space, City of Boulder Open Space and Mountain Parks, St. Vrain and Left Hand Water Conservancy District and Left Hand Water District. The tour begins and ends at the Plaza Convention Center in Longmont (this is different from previous years). The tour will begin with presentations on Water Law 101, orientation of the overall Left Hand Basin, and the History of the Left Hand Ditch. We'll then board the motor coach buses to visit interesting facets of Left Hand history and current Left Hand Ditch System. Lunch will be served at the Beech Shelter. There will be speakers on the bus as well as at each stop with time for questions and discussion. WHEN: Saturday, June 11, 2016 from 7:30 a.m. to 2:30 p.m.
For more information and to register, please visit www.BoulderCountyOpenSpace.org/agtours or contact Vanessa McCracken at vmccracken@bouldercounty.org or 303-678-6181. Registration is required.